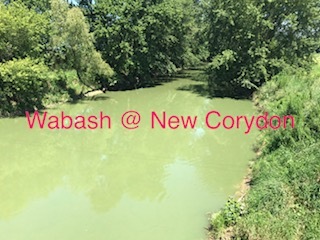 MUNCIE, INDIANA – BLOG – We’ve written plenty on our website and social media about our objections to the estimated half billion project in Madison/Delaware County called Mounds Lake Reservoir. We’ve also been honest about our original interest in the project’s concept. East Central Indiana could use the high-end housing stock and commercial development which would follow this type of project. However, the devil is always in the details. In this case, the devil was the two feasibility studies costing $600,000, and subsequent review of the studies. Once the real findings pointed to a project lacking financial merit and the geographical and environmental issues were more significant than originally thought, the opposition began to grow. Instead of addressing those concerns, the organizers opted to rewrite the agreement needed to form a Commission, so they could move into Phase 3 – a $26 million design and development phase. From a journalistic perspective, this is a red flag. Why would the advocates of such a significant project maneuver around legitimate questions and concerns emanating from the studies prepared by the Governor’s own hand-picked engineering consultant? Why not address the concerns directly and allow the opposition to reconsider? The project was properly vetted in the public realm within Delaware County. Both our Council and Commissioners unanimously voted against the project. However, the original “Agreement” prepared by Rob Sparks of Anderson Economic Development Corporation (AEDC) was changed to get around Delaware County. The new goal is just include Anderson, Daleville, Chesterfield and Yorktown. Monday night, a press release was issued by eight CEO’s of county economic development councils surrounding the project – everyone except Madison and Delaware County. We encourage the elected officials and community leaders throughout the region to move forward with the Mounds Lake project through continued evaluation and discovery. A proposal like this demands sound public policy, and the policy decisions made on this issue must be based on the comprehensive set of facts that will be gathered through the next phase of the project. Mounds Lake can play a substantial role in ensuring that the future of East Central Indiana is prosperous. The project deserves nothing less than thorough exploration in hopes of putting Mounds Lake on the map. We highlighted the specific sentence which we find offensive. We’ve attended most of the public forums in Delaware County, read Ball State’s peer review of the studies and reviewed them ourselves. We feel everyone in Delaware County has addressed the facts and consequences of this proposal versus the ‘cheerleading’ and blatant disregard of the facts in Madison county. We fully understand the project would be reverse the decaying community, but tossing millions into a bottomless pit doesn’t make much sense to us. We also found the letter coincidental to the Herald Bulletin’s interview with Governor Mike Pence. Not one statement to the governor about Rob Sparks changing the Agreement once local opposition developed in Delaware County. A glaring misrepresentation and lack of good faith. On Thursday night, Anderson City Council approved the project by a margin of 7-1, so the road show will continue to the remaining three cities unless Rob Sparks rewrites the ‘Agreement’ to just include Anderson where he has support. We’ve spoken with several people recently to see if there is any chance that ADVANCE-ECI could obtain monies to help make Mounds Lake a reality and we’ve been told, no chance. Therefore, if you live in one of the cities who will be voting soon on entering into the Mounds Lake Commission, you better inform your elected representatives. While the project proceeds to the next municipality for approval, it’s unclear if Delaware County will pursue legal action to stop the project in its tracks due to standing or jurisdiction. We just cannot imagine how Daleville and Yorktown can commit all of Delaware County to a project which our government has already voted to oppose.